The project management has an archive system. Archived projects are locked for editing and hidden from the project management. The advantage: The projects remain in the LogiKal project structure within their own security concept. The archived projects can be displayed again at any time. 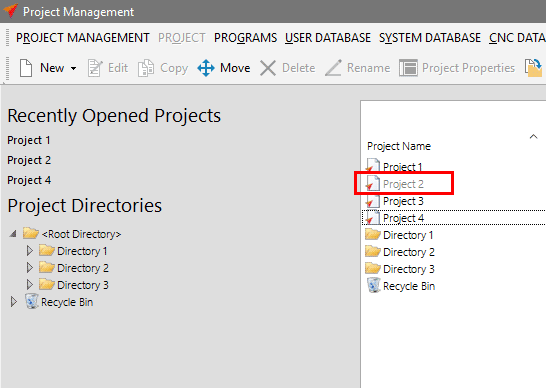 In order to use this function, right-click the project and select the option „Archive Project“. The archived project will be hidden. 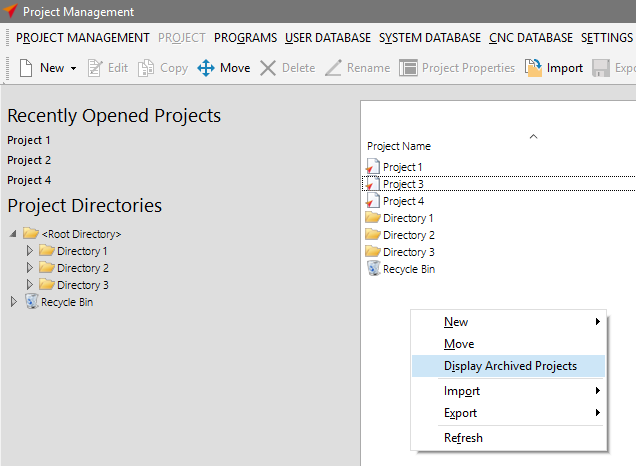 In order to display archived projects, right-click the project list and select „Display Archived Projects“. They will then be displayed in grey font. 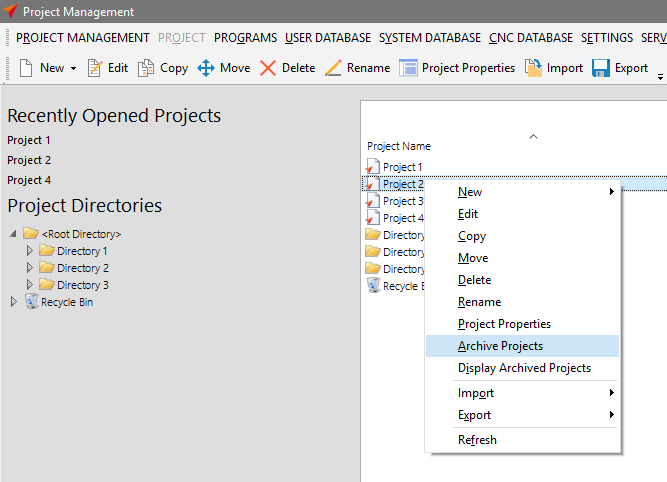 To re-activate an archived project, right-click the greyed out project and select „Re-Activate Project“.